Prominent & Leading Manufacturer from Pune, we offer computerized wire cutting and stripping machine. 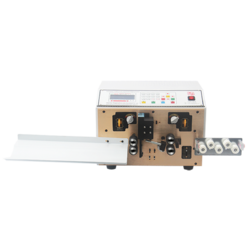 5.It is designed for wire processing factories, invert device factories, plug producers and other any factories who need cable wire stripping machine. Looking for Wire Cutting Machine ?